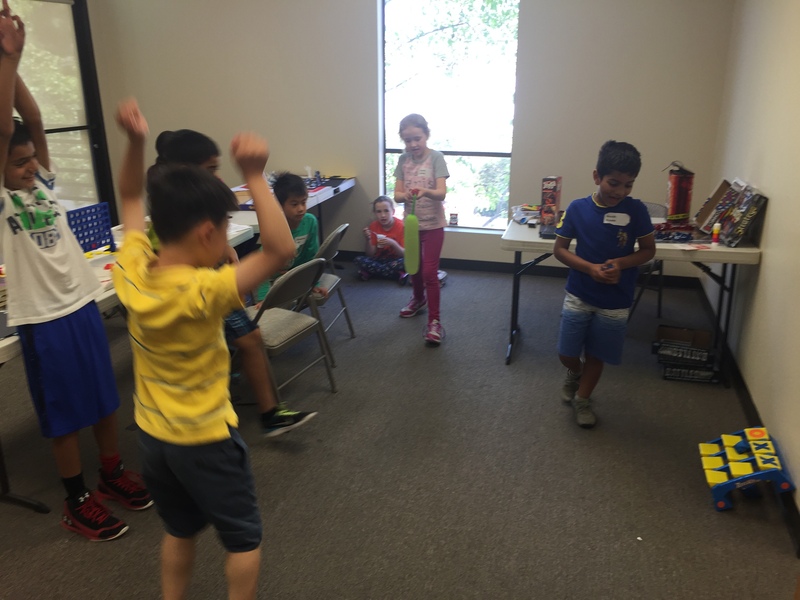 Home/Blog, News, Uncategorized/Fun times at our new Dublin summer camp! We’ve just completed week 1 of our new full-day chess camp in Dublin. It was a great success, with 18 campers becoming much stronger players. 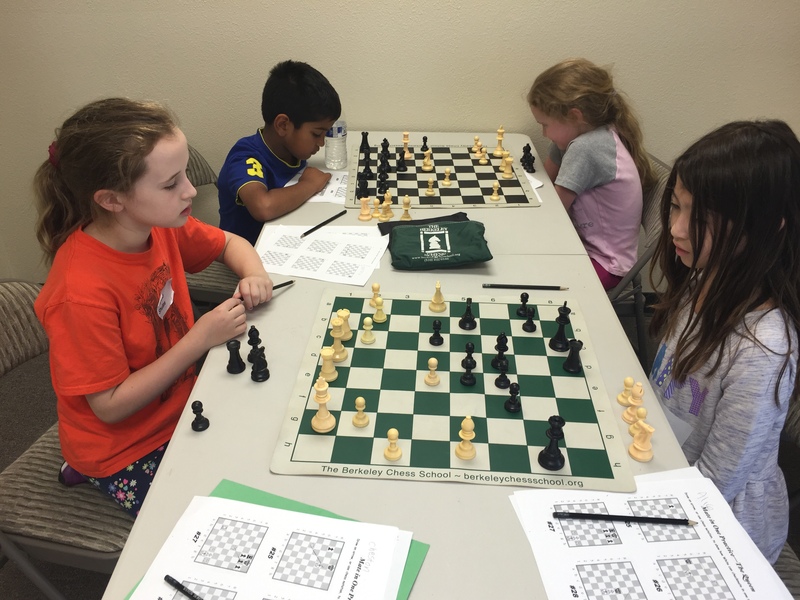 Attending chess camp is the best way to improve, with four hours of lessons per day. And it’s fun! Two levels were offered, one for students rated over 600, and one for students rated under 600. 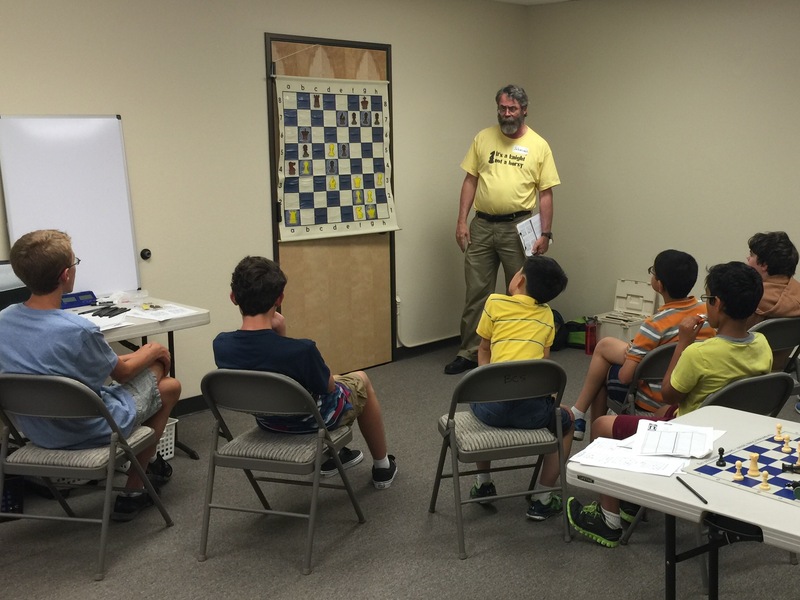 The top class, or “Master Class”, was taught by USCF Expert Timothy Randall. 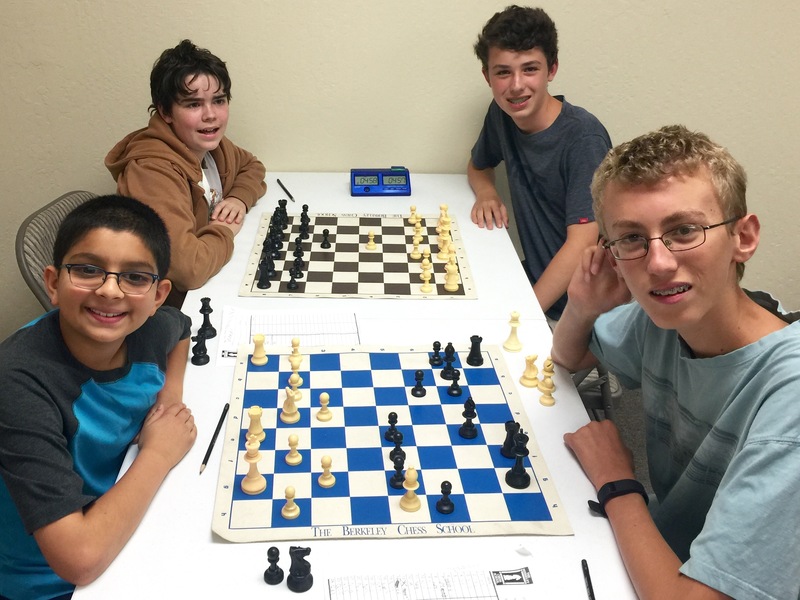 Many of the students attend the Berkeley Chess School’s Friday night program in San Ramon during the school year and have ratings over 1000 USCF, and more than half were middle schoolers. 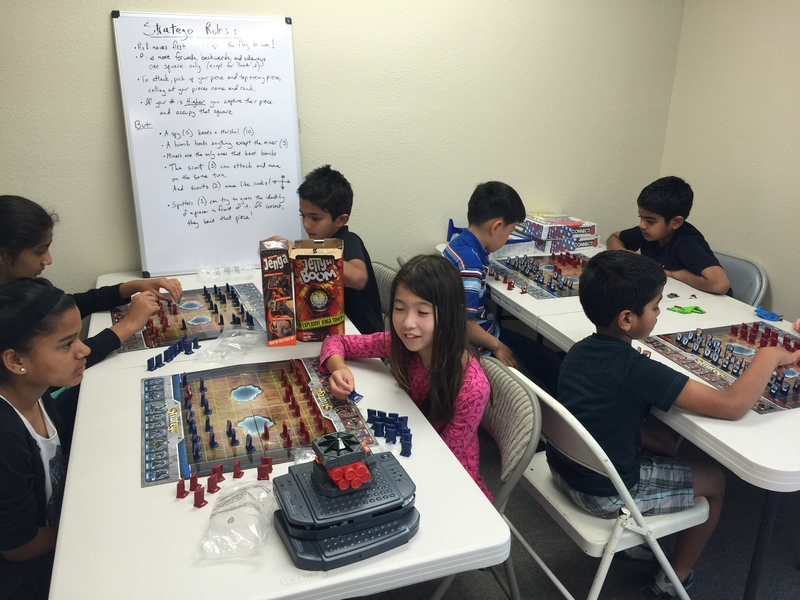 In addition to the lessons, students played an in-class USCF-rated tournament over the week, with one round per afternoon. There was a three-way tie for first place between Aniketh Tarakonda, Sean Hayes, and Michael Straus. The “Intermediate Class” was also full of talented players and was taught by BCS instructor Stephen Shaughnessy. Through the week, concepts of Fool’s Mate and Scholar’s Mate were covered in great detail, with students particularly enjoying the epic story of “Foolish Freddy and Sneaky Sammy”. Basic endgame techniques were covered, building to more advanced concepts. 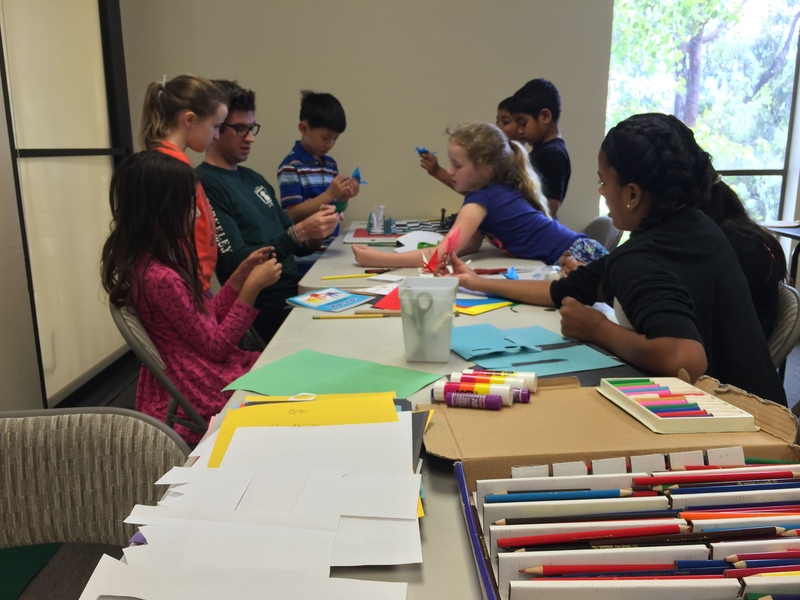 For full-day campers, the morning starts with an art activity and then various other games are played. The goal: have fun and make friends. Week 2 (July 11-15) will have National Master Richard Beale teaching the Master Class. He will be teaching a week-long course on basic attacking plans, going to progressively more sophisticated patterns as the students are ready for them. Week 3 (July 18-22) will have Timothy Randal again teaching the Master Class. Mr. Randal is a USCF Expert and has been a high school math teacher for 28 years. Week 4 (July 25-29) will have USCF Expert Kaushik Bakhandi teaching the Master Class. He was the two time Junior Champion of West Bengal before immigrating to Dublin. We hope this new camp thrives for years to come. It was created to provide full-day care so that parents can leave their children for the day with confidence that camp will be fun and educational. And having multiple levels allows our students to receive targeted training from our level-appropriate and experienced teachers. Thanks for supporting our programs!